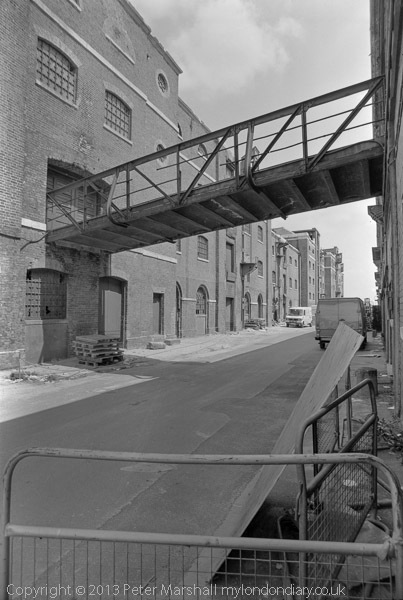 several of which were in my recent book, Thamesgate Panoramas, and more are on the Urban Landscape web site, either in my Thames Gateway (Essex) or Thames Gateway (Kent) project pages, although the titles are different. My prints in the show are from my work the Museum of London collection and they have added rather more descriptive (and sometimes more accurate) titles to some of the work, as well as making archival inkjet prints from the digital files I supplied. I went in to see these when they were printed and was very satisfied with the quality. You can see all the works by a search in the Museum of London collections on-line by using the titles above, or a search on my name (Marshall, Peter) will show almost all of my works held by the museum. It’s interesting to have work in a show with a mixture of different art forms like this, and I’m pleased to be shown in such distinguished company. This entry was posted on Thursday, May 16th, 2013 at 06:30 pm and is filed under My Own Work. You can follow any responses to this entry through the RSS 2.0 feed. You can leave a response, or trackback from your own site.